The luxury resort Sunny day is located between the resorts Golden Sands and St. Constantine and Elena. It is 10 km away from Varna downtown and 16km from the Varna International Airport. Located in a small east facing bay, the resort has more then 1700 sunshine hours from May to September. The length of the beach is 1km and the sea is shallow with sandy bottom. There are a couple of very beautiful parks near the resort – The Botanical Garden – Eco Park and Nature Park “Golden sands”, which are very important factor for the freshness of the air and a good destination for a walks and outdoor activities. The average temperature in Sunny day during the summer is 26° C and the average water temperature is less with only 2 degrees. There are 4 hotels in Sunny day, with a total capacity of 1300 beds and many mineral springs at 45 ° C, which create perfect conditions for spa and wellness tourism. The resort is suitable for families, as well as business tourists, as it is well equipped with modern conference halls. It also has a marina for 17 yachts. Sunny day offers many sport activities for both indoor and outdoor, such us swimming pools, tennis court, table tennis, diving and water sports and more. The Palace was built as royal summer residence in the 19th century. The French Palace Chateau de Saint-Cloud was used as a sample for building the palace. A beautiful park with over 310 different types of plants surrounds the Palace. During the summer it is used as a summer residence for the Parliament’s members. This unique monastery was created in 12th – 13th century. It is carved into the rock and has more then 20 different rooms. Now the Monastery is a national historical monument. The Botanic garden is situated very close to Varna and it is the first eco park in Bulgaria. Its owner is the Sofia University. There are over 300 species of bushes and exotic trees and more then 100 species of herbaceous plants. The Botanical Garden is famous for its rich collection of irises, which are more then 250 varieties and over 30 varieties of roses. The Church was part of the monastery, built for Emperor Constantine. Now it is open for visitor as a museum. Blachik is famous for its botanical garden and the palace of Queen Mariya. 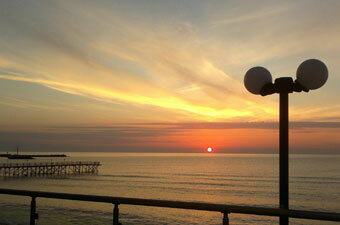 It is a beautiful small town located on the Black Sea, 40 km from Varna. There are two golf courses near Balchik. Pliska is the first capital of Bulgaria, founded by Chan Asparuh. It is located 70 km away from Varna. It is Archaeological Museum Reserve that provides insight to the culture of the Bulgarians between VIIth – Xth century. The visitors can explore the remains of Royal palace, pagan temple, a small palace, palace church, bathrooms, water storage, housing and the impressive cathedral – the Great Basilica. The Archeological reserve covers the area of the second Bulgarian capital – Preslav. It is 500ha large and stands on 100km west from Varna. Many evidence reveal that Preslav was gorgeous and rich city worthy of comparison to Constantinople. The exhibition in the museum can be considered works of Old Bulgarian and Byzantine art, including the famous icon of St. Theodor, Preslav’s gold treasure and ceramic iconostasis Palace Monastery , the largest and unique collection of lead seals. Madara is ancient region, located 17km away from Shumen, used by the Thracians and famous with its Madara Horsman carved into the rocks on 23 meters height. It displays a horseman, a lion, a dog, an eagle and Greek inscriptions. There is a great cavern at the foot of the rock, called “Cave of the Nymphs”, used by the Thracians for regilious rituals. If you plan to visit Sunny Day and have not yet booked your car, you can do so by using our reservations form. If you are traveling from Varna, LowCostCars has office on Tsar Osvoboditel 17A, or from the airport, where you can pick up your car on the spot. 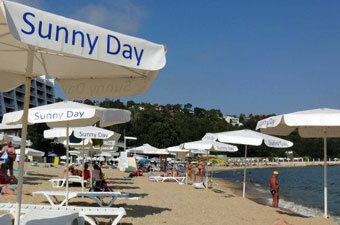 Sunny Day is the perfect destination for a day trip from Varna.